Are you performing due diligence on Krona Woods from Ukraine who sells Russian Red Pine Sawn Timber? If so, you may want to read the below review of the experience of one buyer and their recommendation to consider when dealing with this company. You will also find some links to help you find more related information about Krona Woods on Supplier Blacklist and on Google as well as other bad suppliers of Russian Red Pine Sawn Timber reported here on SBL. I wanted to import one container of Russian Red Pine Sawn Timber , I had checked several suppliers from the website and had chosen the Krona Woods LLC. I had ordered one container as a trial and he called me and send me the Proforma Invoice and asked payment of 50% upfront, I had paid it and he promised to deliver my goods within one week. 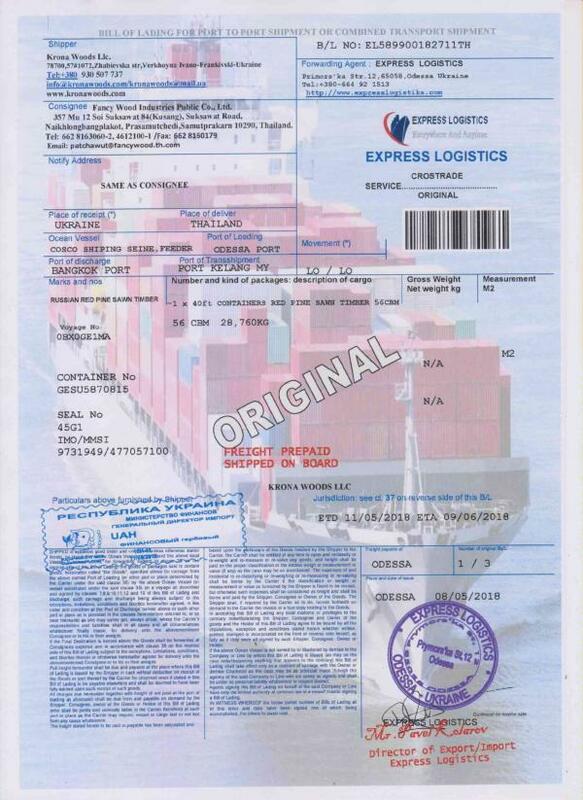 Two days before the shipment date, the logistic named Express Logistiks send me an email asking additional 3000 Euro for insurance of container, I refused to pay as the term was CIF. 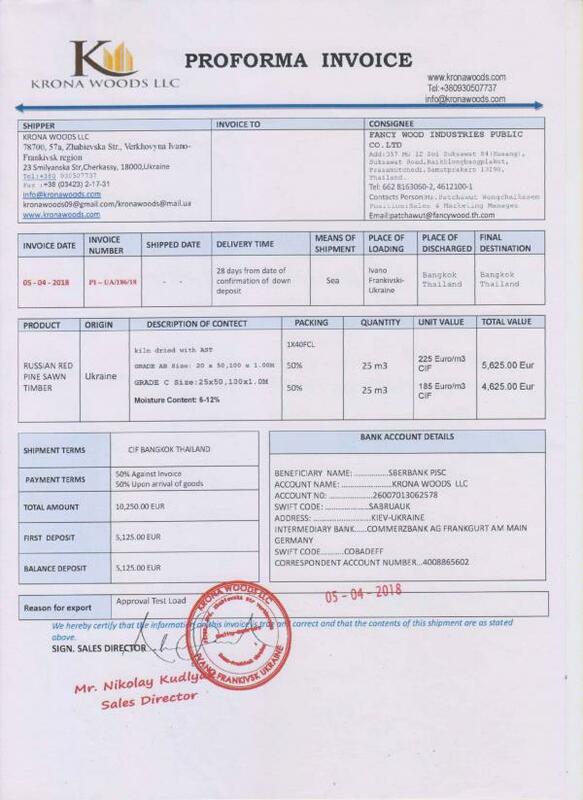 A few days later he send me a full set of shipping documents (Bill of Lading, Invoice, Packing list, C/O, Phytosanitary certificate) to prove the shipment. I had checked with online tracking, the detail shipment proved to be true, I had paid the remaining 50%, after that i asked for the original shipping documents, he told me that all send to his agent in China, we never received our goods. Then we realized that he is a scammer. 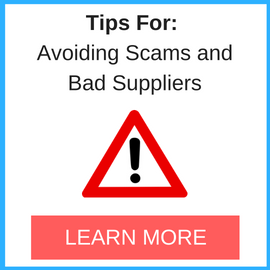 do not trust any suppliers on the website. 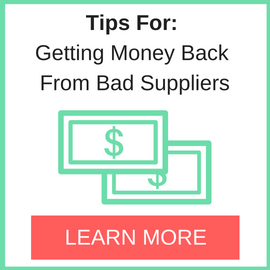 If you want to buy any goods from the website, please check the background of the supplier or strict to the payment by letter of credit. Need More Info on Krona Woods? If you need more information, you can click the below links to search for more submissions about Krona Woods on Supplier Blacklist as well as go to the search results page on Google for more reviews online about this company. Perform a Supplier Blacklist search for more reviews on Krona Woods. Search Google for Krona Woods Reviews.